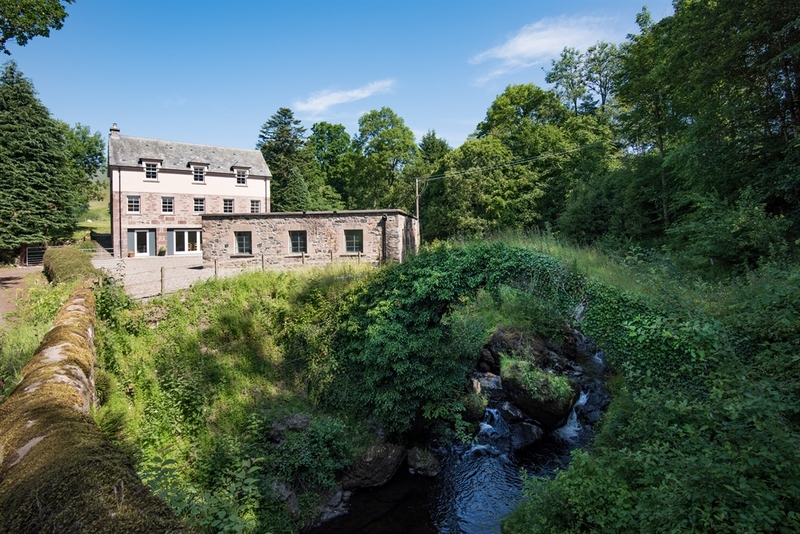 Mill House is situated on the stunning Monzie Estate in the heart of rural Perthshire. 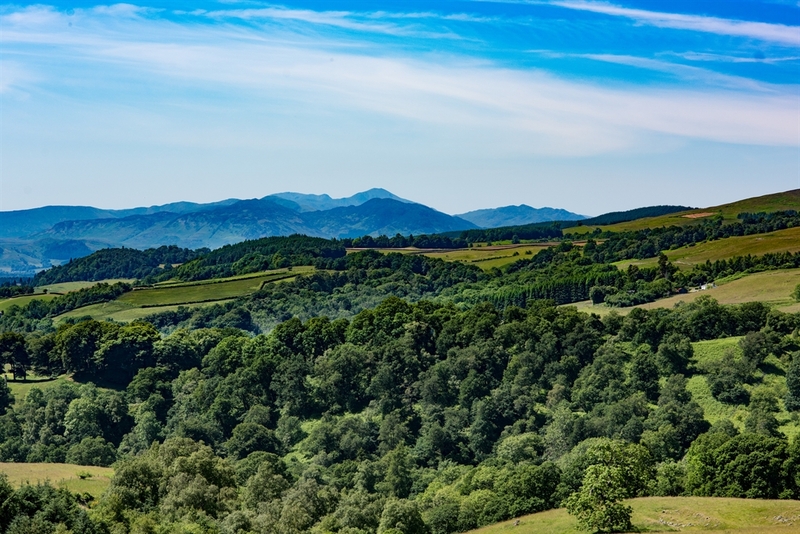 It is perfect for families and groups of friends and the whole house can also be let on on a self catering basis. 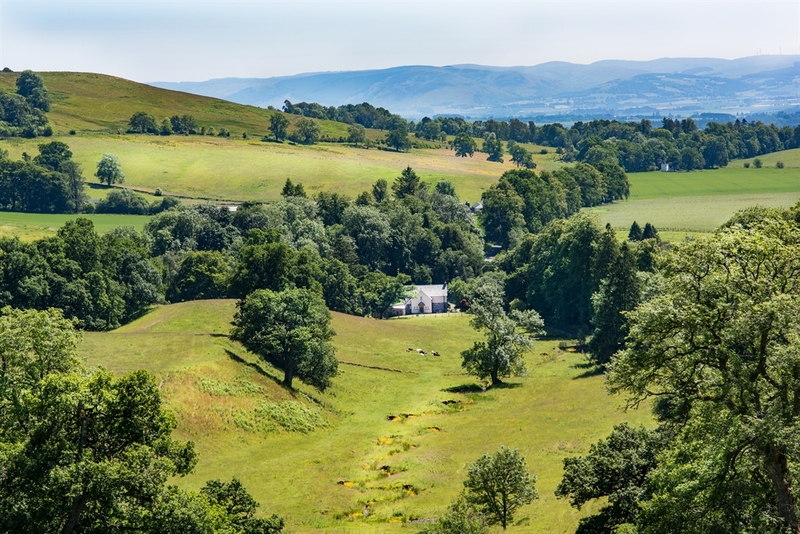 The Monzie Estate is home to 5 unique holiday properties, perfect for families and groups of friends. 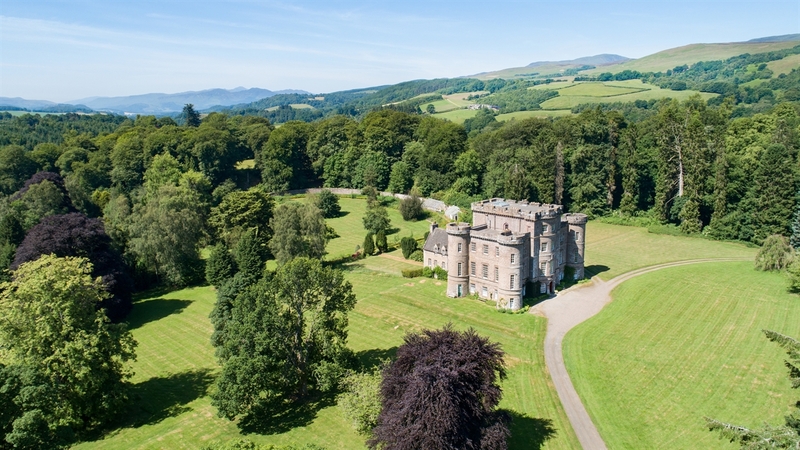 Walks across the historic estate are accessible and castle tours are often on offer. 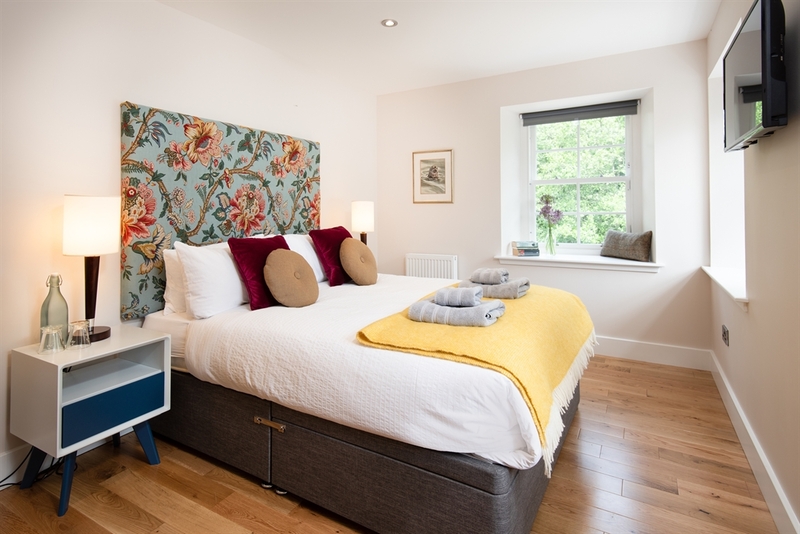 Mill House is self catering with 5 bespoke en suite bedrooms, 3 king size and 2 flexible super king/twins, so it is ideal for large groups or two families. 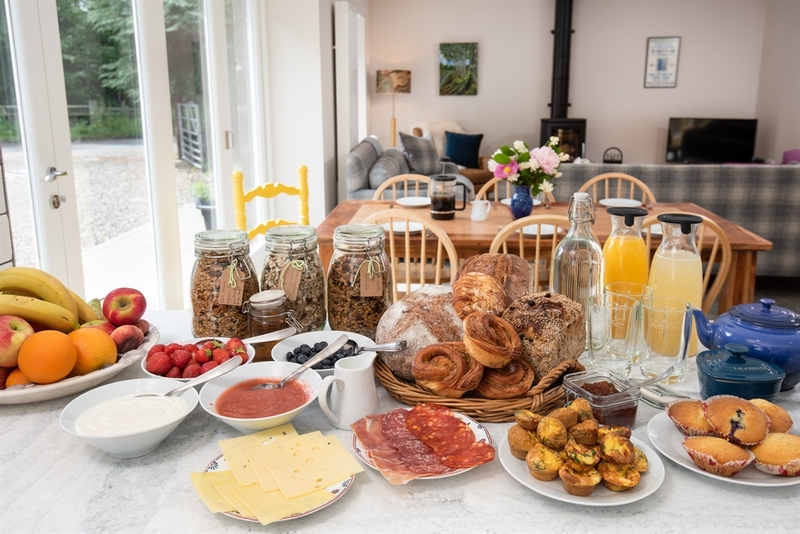 The kitchen is fully kitted out to cater for 10 and there is ample space for guests to spread out and relax in this fabulous setting. 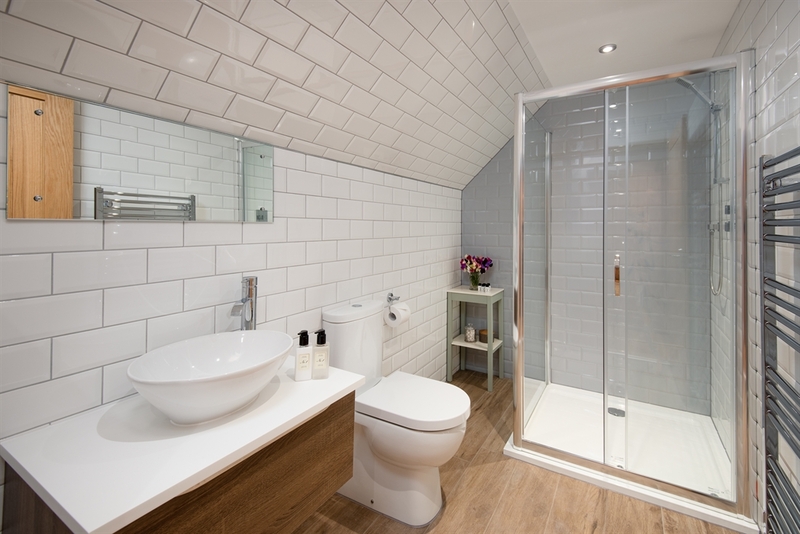 Glowry Cottage is perfect for families sleeping 5 in 3 single rooms and a king size room with en suite shower. 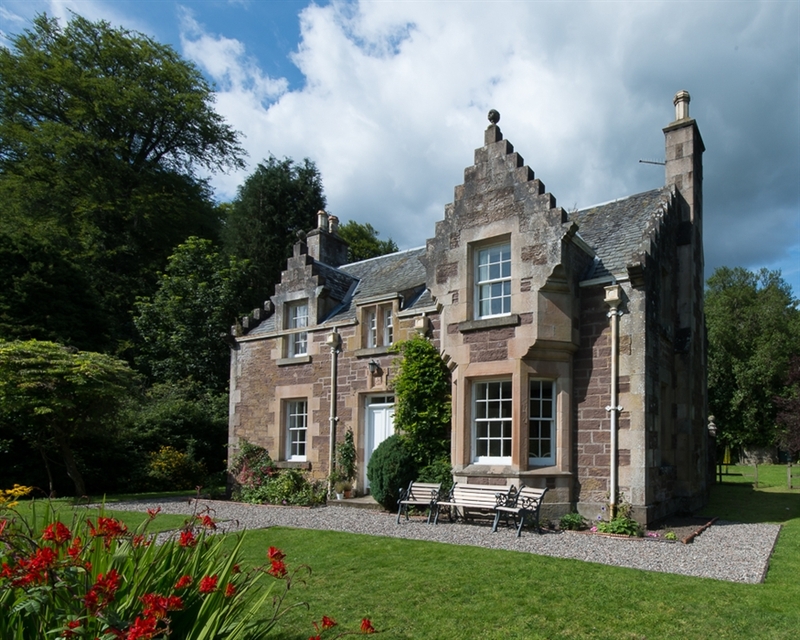 There is a large fully equipped kitchen/dining room with utility and a comfortable living room with an open fire. The house has plenty of space for jackets, boots and shoes and for a group of people to spread out. 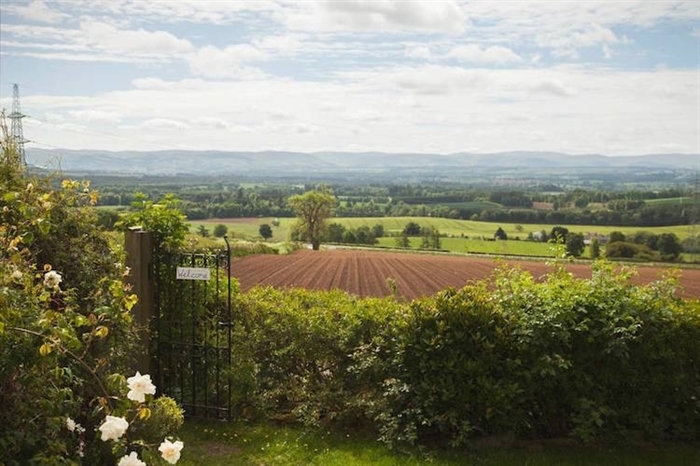 Gardeners Cottage is tucked away 2 miles down a private road on Monzie Estate. The cottage and much of the furniture is recently restored. 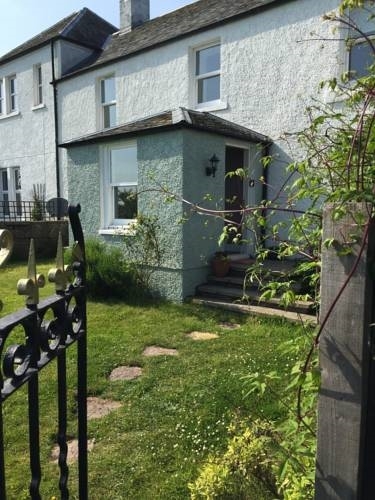 This cottage has a kingsize bedroom and a super king/twin room, an en suite bathroom, shower room and downstairs WC. 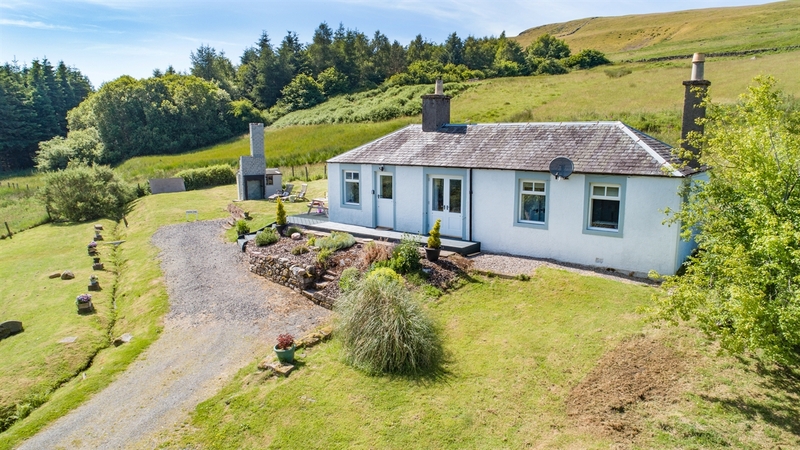 The kitchen is spacious and fully kitted out for self catering and the living room has ample seating for 4 and an open fire for cosy nights in. 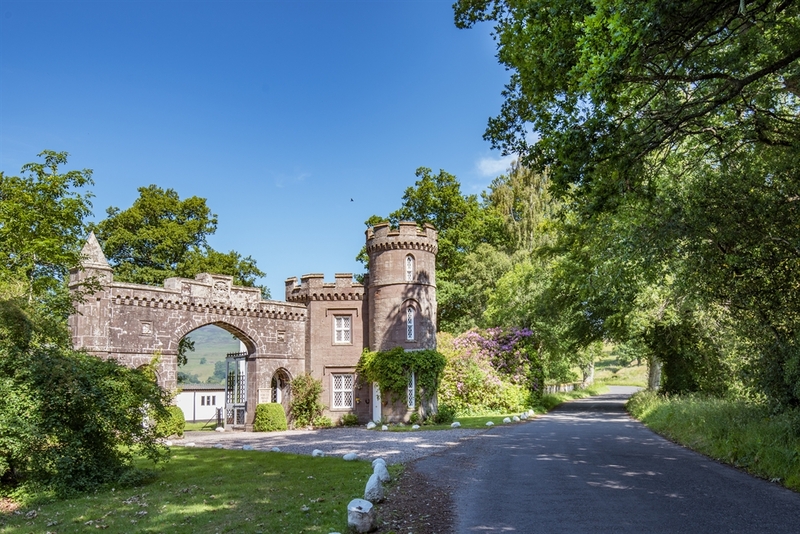 East Gatehouse Lodge is truly individual and features a turreted stairway and octagonal rooms. 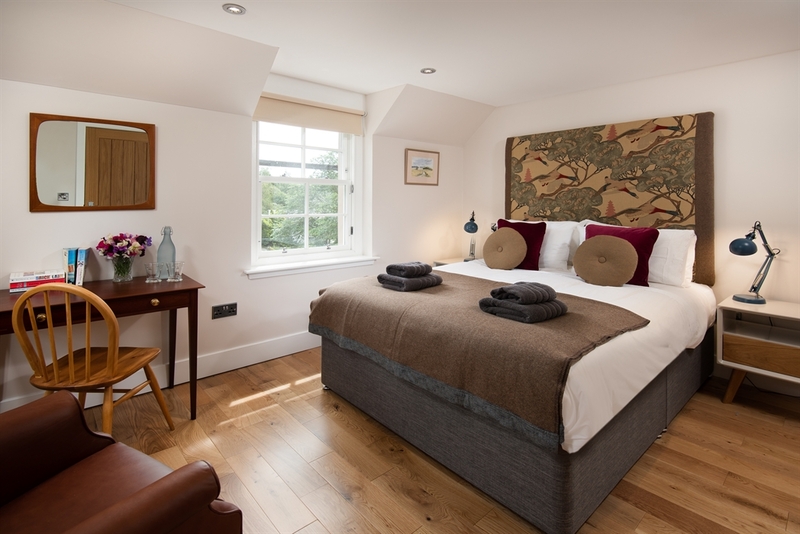 There is a king size bedroom and a super king/twin so it is ideal for 2 couples or a family of 4. 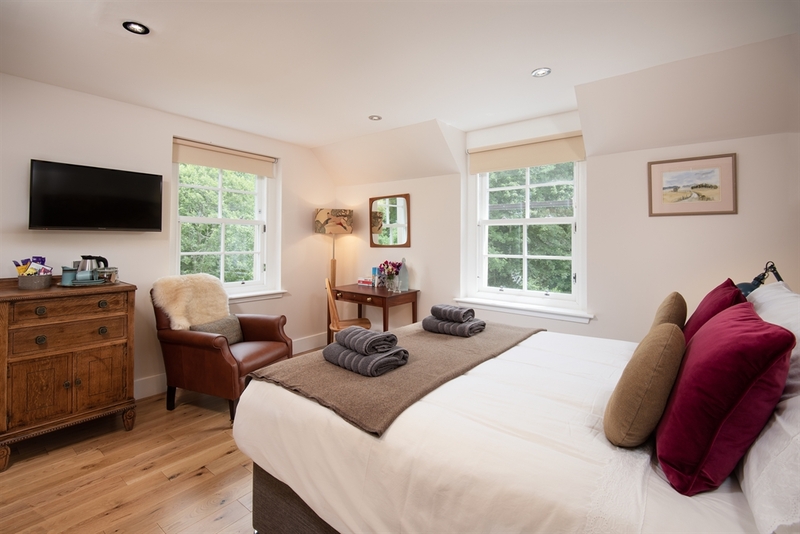 East Lodge has been recently refurbished to high standards and has 2 bathrooms, a fully kitted out kitchen, dining room and living room with open fire. 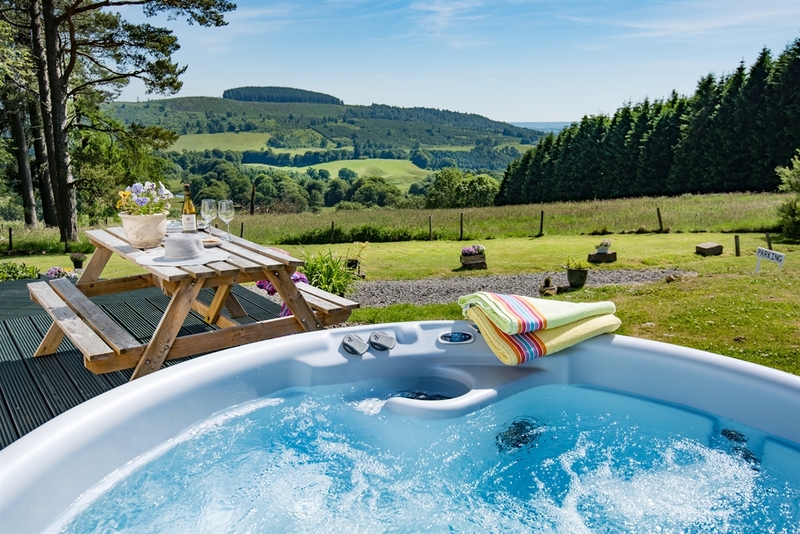 Brae Cottage is a romantic hideaway for 2 up a private track and has an outdoor hot tub with amazing views across the estate. The living room features a wood burning stove for cosy nights with a selection of books and DVDs. 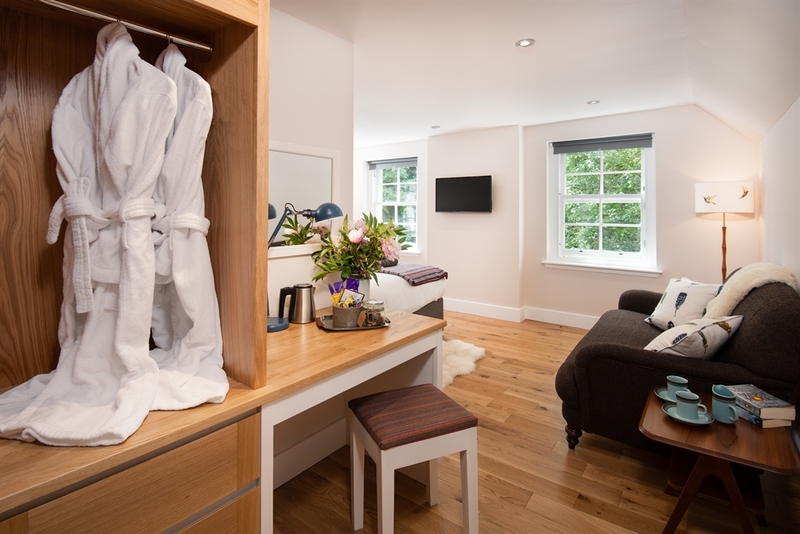 The kitchen is fully equipped for dining in and bedroom has an en suite shower room. 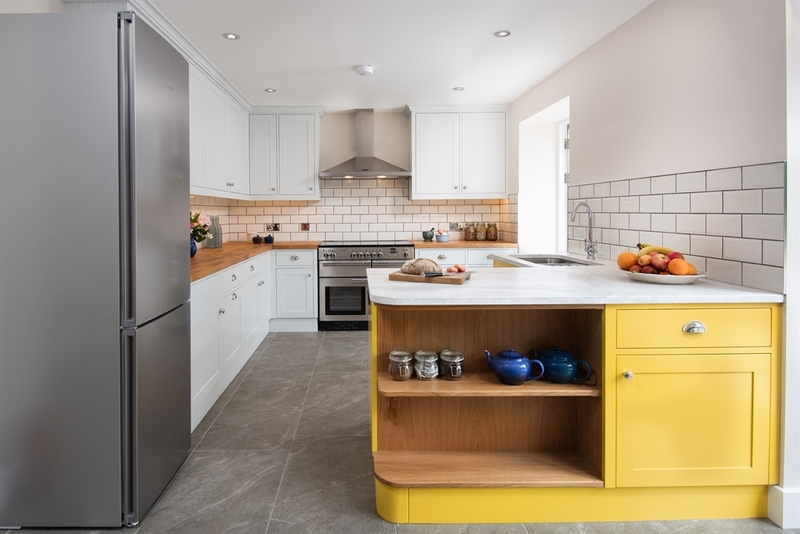 All the properties feature bespoke kitchens designed and made by Monzie Joinery. All have WiFi, flat screen TVs and a selection of books and DVDs.